Do You Think Investing in Cagayan De Oro is Worth It? Investing in Cagayan de Oro could prove very rewarding. Living in Mindanao has its perks along with frustrations. No, the frustrations do not come from living in dearth and barbarism. What frustrates me is the huge misunderstanding of the dynamics of the supra-region. First and foremost, we are composed of roughly 28 provinces and 10 cities. When there’s a bombing in one part, headlines go trumpeting ‘Bombing in Mindanao’. Now going to the perks, I like the fact that because of the scare, the travelers who eventually reach us actually are smart and informed. Or at least are risk-takers and are most often no-nonsense in their approach. It is pretty much the same with businesses who are bullish in coming over. Despite the negative media coverage of Mindanao that affects the business climate in Cagayan de Oro from time to time, determined investors have continued to keep faith. They are the ones who have proven resilient and dependable, willing and ready to weather through any sticky situations. Although the bombing in late 2012 and the tensed environment in the 2013 elections caused some cancellations of international and local gatherings that were supposed to be hosted in the city, Cagayan de Oro’s aim to be a conference hub is still fastidious as before. Already, the tourism sector has started to put together a directory of the city’s establishments along with comments and recommendations so that visitors could easily plan their stay in the city. Investments that support this industry continue to pour in – expansion and rehabilitation of resorts and hotels, establishment of new restaurants and cafes, and professional training institutions for manpower services. ITPI Corp, an innovative company leading green architecture in the Philippines, has put up Primavera Residences the first green condominium in the city, contributing to the general sustainable real estate development in the Philippines. Additionally, in the last quarter of 2013, USAid has picked the city to pilot its program initially designed for two years geared to boost investments in the country. With many of its citizens living in the urban centers, the aid institution has thought it appropriate to help in the development of urban investment hubs. While many babble about how unfortunate it is that we have been lumped together with the conflict-ridden areas in Mindanao, I actually am positive with our situation. Let the others sift through semi-precious stones. 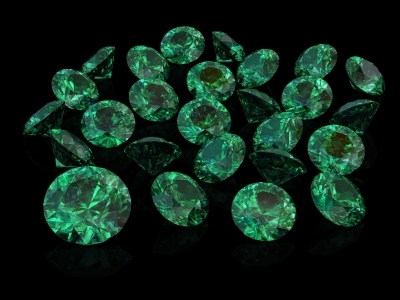 The ones that get through to us will get emeralds and diamonds. Want to know more about Cagayan de Oro’s treasure? Click here.